The age from birth to three is an explosion of development and learning for young children. From being totally dependent on parents and carers for their every need to becoming independent children, with unique personalities, complex language skills and physical abilities, children learn it all in an incredibly short time. This does not happen in a vacuum, however. Babies need to hear language and see communication to be able to learn proficiency; a whole range of physical skills are required and need to be practised before crawling, cruising and walking can be mastered; attachment, bonding, episodes of joint attention and developing resilience are just a few of the social and emotional aspects that will help to develop personality. Similarly, this development doesn’t happen according to a fixed timetable (although there are some general developmental norms) or in discrete pockets of development. Babies and young children learn and develop holistically, meaning that many areas develop all at the same time and interdependently on each other. This is particularly pertinent in the birth to three age range, where there can be significant benefits to giving babies and young children experiences that are interconnected and consider all areas of learning and development. For example, baby massage is physically soothing, and, in addition, it is beneficial for bonding and emotional soothing. Physical development with respect to eye contact, pointing and babbling are all important beginnings of communication. Of course, communication in the form of storytelling and narratives greatly supports young children’s sense of self, their sense of community and may also be a vehicle for exploring their own sense of morality at the basic level of ‘goodies’ vs ‘baddies’. Superhero play (which may take the form of ‘goodies vs baddies’) can be used to encourage different forms of movement with older children such as leaping, spinning and creeping during their play. As you can see, birth to three is all about the interactions, the interdependencies and the links between ALL areas of learning and development. 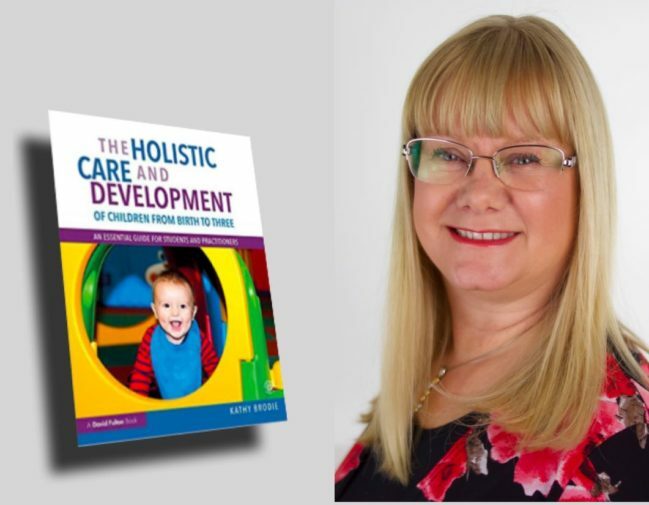 I have explored these concepts and ideas in my latest book – The Holistic Care and Development of children from birth to three which has just been published. The aim of the book is to illustrate just how vital it is that we consider children holistically, rather than arbitrarily sub-divide their accomplishments into pre-determined boxes, especially in the birth to three age range. In the book, I have included lots more examples, as well as activity ideas to support them. There are also the underpinning theories about babies and young children’s development at the beginning of each chapter to set the context. Babies and young children are amazing learners, capable and curious. It seems a shame not to acknowledge this and support them in their preferred way of learning – holistically. 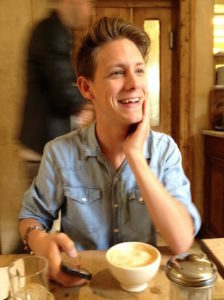 Christopher has a very wide range of interests, from sleep expert to twin expert, with a special interest in the care and development of babies. Unsurprisingly, we talk a lot in the podcast about child development, the fascination of twins and, most importantly for me, the professionalism that is essential for quality care. One thing that Christopher mentioned was that he could sympathise with working mums, because the situation of men in childcare mirrors many of women’s challenges for getting equal recognition in the general workforce. This is a really fascinating podcast, which I hope will help both men and women to reflect on their own practice. If you enjoy the podcast, please leave a review on iTunes too – it helps to promote the podcast and get it to reach a wider audience. As practitioners we are always being reminded about taking photographic and video evidence of children during the day day because a picture can demonstrate a point really clearly. But how often do we find a book which takes this valuable advice? The first thing that you will notice about Tina Bruce’s book is the beautiful, full colour photographs throughout. These are often grouped so that the reader can see the process that is being described in the text. It is often noted throughout the book that creativity is hard work, the environment need to support creativity, as do the practitioners, and that creativity is not producing a creation, but is a process. For me this was the most resonant idea in the book. Too often as practitioners we talk about ‘doing a creative activity’ meaning that we will expect the children to make something, often within our own, narrow adult boundaries. 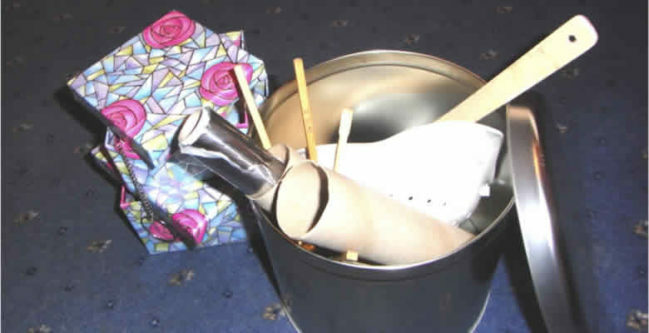 Were the children in your setting allowed to make their own Christmas card using any material of choice and own design? How long was the idea allowed to incubate? Did everyone have to do a card? the product which (may or may not) emerges and this could be a scientific theory, dance or poem! Sometimes the children don’t even know what they are creating and our adult interpretation should not be forced upon them. In fact, Bruce notes that a clear idea may restrict the creative process. The case studies bring the subject to life with examples I could easily relate to. Gradually the theory is built to a final chapter about the three kinds of creativity with powerful examples of how this is achieved in adulthood in the arts, humanities and science. The book concludes with a useful page of bullet points on how to cultivate creativity generally. I was a little disappointed that there were no pictures of children in chapter 6 – Emergent Beginnings – which covers babies and SEN. Whilst there are excellent examples for toddlers, pre-school and older early years, there is much less about babies in general. Nonetheless, it is a good read, and it is very useful to be able to access the book at the different levels. It is also a useful source of practical information on the process of creativity and how to encourage this within various settings. I would strongly recommend it to any practitioner who is interested in creativity.